If you’re a lover of skyscrapers, architecture, and historic buildings, Chicago is a great place to visit. If you’re a foodie with an even more insatiable appetite for good shopping, then Chicago is an even better place to visit! I’ve heard lots of people refer to Chicago as their favorite city; it didn’t take much time in the Windy City for me to understand why it is so beloved. 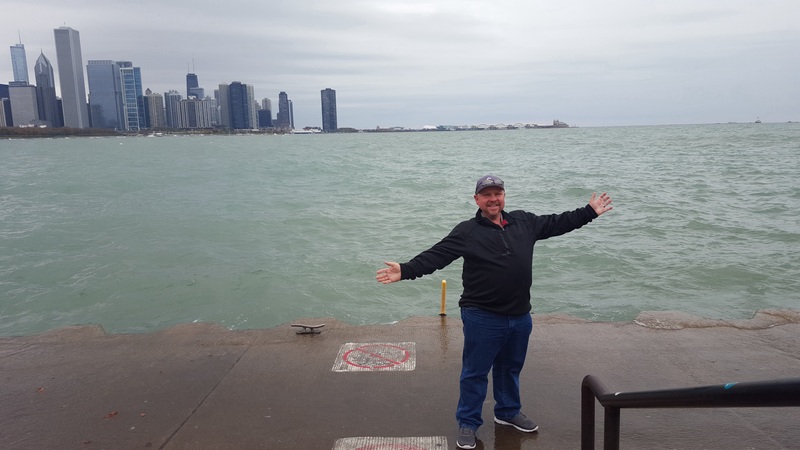 When work took me to Chicago recently, my husband Darren came along and we added a couple of days for exploring…time well spent! Even though it’s definitely a “big city,” visitors can still fully experience Chicago’s beauty and take in many of its wonders in just two or three days. We stayed near Michigan Avenue (“The Magnificent Mile”), which put us within walking distance of nearly 500 stores and 300 restaurants. Nearby Rush Street is another fun place for an evening out, with bars and restaurants like long-time local favorite Gibsons Bar & Steakhouse or Lou Malnati’s (for your must-try Chicago style deep dish pizza). The hop-on-hop off bus tour was a perfect way for us to see the city’s high points, letting us decide when to jump off and explore. The weather was dicey the day of our tour, so we stayed in the warm bus until we were enticed out into the wet, chilly weather. Be prepared for the unexpected in terms of weather; you’ll see more than one wind-blown, inside out umbrella if you travel in the late fall or winter! Even if the weather isn’t great, you’ll want to get close to massive Lake Michigan. When we were there, the waves were high and the beach could nearly have passed for ocean-front property. Chicago does love its parks. One of my favorite stops was Millennium Park, home to Cloud Gate—the huge, stainless steel sculpture affectionately known as “The Bean.” It’s a selfie-lover’s dream and takes the idea of a fun-house mirror to a whole new dimension. Adults and kids alike flock to it! In addition to large gathering places like Millennium Park, the city is sprinkled with pocket parks that bring life to the streetscape. As a novice in architecture, I did a little “research” into the area’s building history by reading “Devil in the White City” by Erik Larson. The book describes the challenges faced by engineers and architects in the 19th Century as they struggled to build structurally-sound skyscrapers on the city’s swampy foundation. The marshy land was obviously conquered, and today Chicago’s skyline is iconic. One of the best vantage points for enjoying the view (especially at night) is the Signature Room restaurant on the 95th floor of the John Hancock building. Even the ladies’ room features floor-to-ceiling windows with a city view! As much as we managed to squeeze in during our trip, we still left many stones unturned. The city has 275 museums (sports, natural history, art and more), plus the huge Shedd Aquarium and the Adler Planetarium. We just couldn’t do it all. That’s OK. Now we have at least 275 reasons to plan our next Chicago vacation.